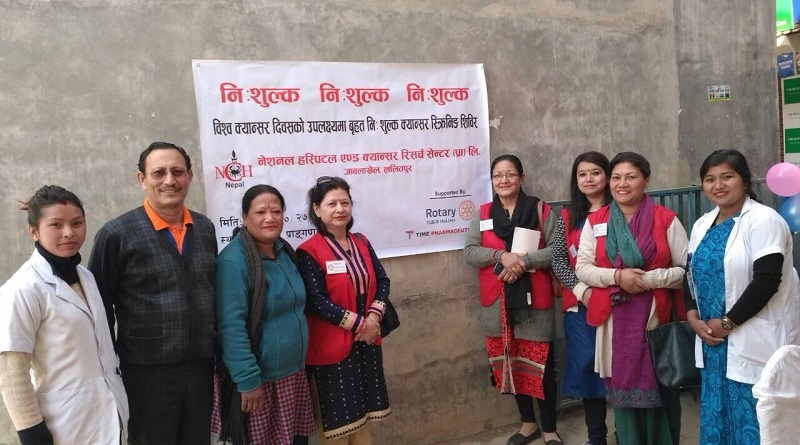 On the occasion of World Cancer Day National Cancer Hospital Jawalakhel Lalitpur had organized a health camp at its premises and provided breast checkup, screening test and mammogram tests for women. RC Yala Ann Group also provided volunteer services on the occasion. A total of 230 women had screening tests in the program. Establish RC Yala as one of the vibrant club in the RI District 3292 engaging actively with due balance on the four pillars of a successful Rotary Club i.e. membership growth and retention, successful service projects, contribution to TRF and leadership beyond club, for the improvement of the quality of life of its community within the framework of the motto of Rotary “ Service Above Self ” in collaboration with its partner in service, Anns, District Committees and the communities.